For an application we aggregate the data from several servers and databases. In SSJS applications I tend to save such properties in Notes configuration documents and store them in scoped Variables during initialization. Something like was provided in the XPages Framework a while ago. In episode 182 of Notes in 9 David Leedy gives a great demonstration how to work with Notes documents via Managed Beans. However for properties that should not be altered likely by an application administrator (could be the application owner, a regular Notes user) I tend to work with managed properties. With managed properties you more or less configure your managed bean. So how could this look like? In the faces-config.xml I set the properties for a managed bean e.g. I am curious how you prefer to configure your applications? In some cases I find it perhaps an overkill to store the configuration in Notes documents and publish the values via a managed bean. 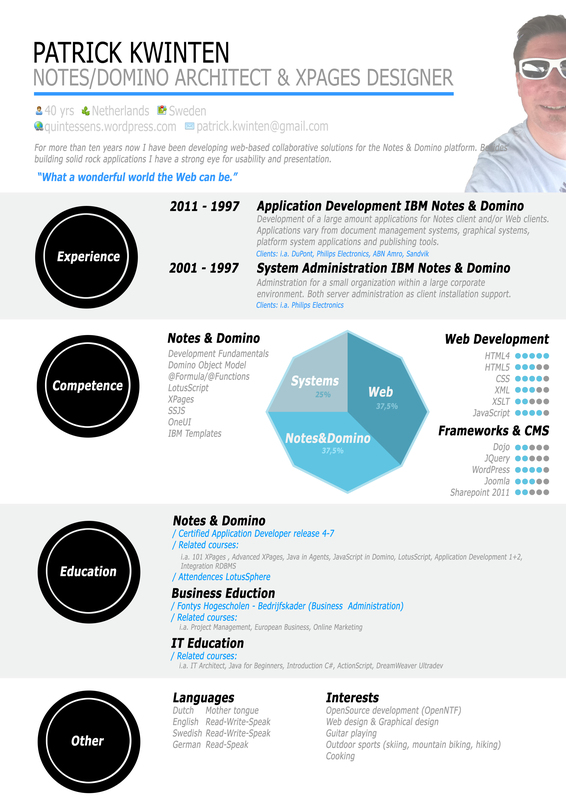 In order to develop more inline with leading web standards more and more Domino and XPages developers find themselves attracted to use JSON as the standard to describe and transport their application data. There are many excellent JSON libraries out there. With XPages we have immediately access to com.ibm.commons.util.io.json. I intend to write a series of posts and tell how I will rewrite an existing XPages application and introduce Java and JSON as the new working horses in this application. More people have written about JSON in XPages so I do not have to deep dive in that. I especially like Jeff Byrd’s post on using the JSONJavaObject class to create a JSON object from an array. First let me demonstrate a simple example. We setup a simple construction we will extend in the following steps of our application modernization. The first column is used for sorting purpose. The second column constructs the JSON string. Alternatively you can use a normal view (plain column values) and construct the JSON string later, something described here. Our class has one public method called loadPictures which will call a private method that will return an arraylist of jsonjavaobjects. You notice the com.ibm.commons.util.io.json library will be used. Don’t worry about the hard-coded server and notes view references now. This will be polished later. By calculation the values for the Repeat control on page load and using a partial refresh for the pager pagination becomes really fast. 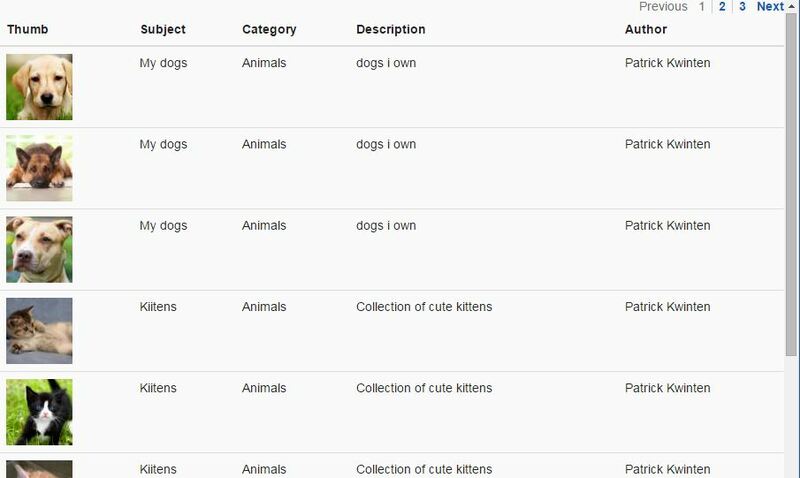 In a next blog I will explain some other (basic) methods that the application will be using to generate collections of documents (by key or restrictbycategory) and based upon these methods we will reconstruct our current XPages app. Untill then.